(1938-1952) The Focke-Wulf Fw 58 Weihe ("Harrier") was a German aircraft, built to fill a request of the Luftwaffe for a multi-role aircraft to be used as advanced trainer for pilots, gunners and radio operators. 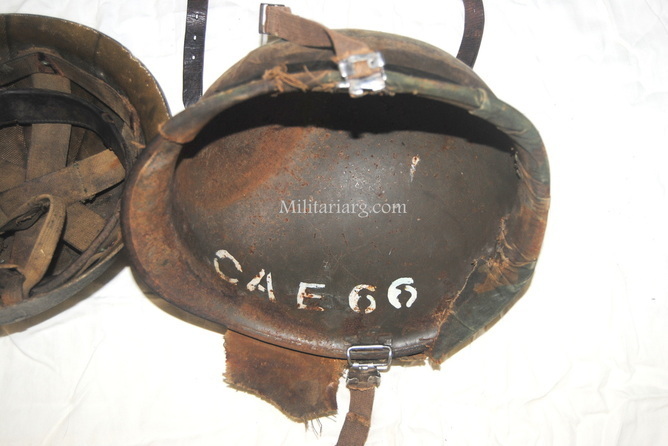 Argentine Helmet with camo cover type ERDL, battlefield relic. CAE66 "Comando de Aviacion del Ejercito".